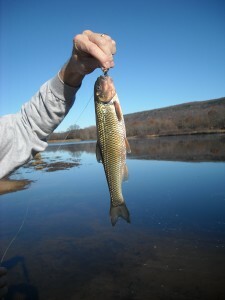 This didn’t start out to be a post about my first carp caught on a fly or about using the world’s ugliest streamer to do it. The trip was originally supposed to be the opportunity to test of a new popping bug. But over an hour into it I realized that despite my best efforts and some great new poppers, there was no chance of catching a bream, bass, or other moderately desirable fish on the surface. This is where I turned to the world’s ugliest streamer. Up until recently I fished this lake regularly. It is a productive place, but has a bottom full of grass and other vegetation. 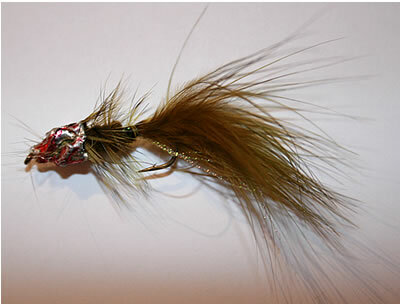 I wanted to prospect subsurface, but knew that I would most likely lose my streamer or nymph somewhere in the process. Not wanting to risk too much, I tied on a green woolly bugger, or at least my version of it. A few months ago I went to a local fishing association meeting and took advantage of free fly tying lessons. I ended up tying two green woolly buggers, neither with any weight or bead head. Later I wrapped some solder around the head of each and colored the solder with a red Sharpie. I threw them in my bass fly box figuring that one day they might come in handy. Today was the day. This is where the carp comes in. After about a dozen casts with a slow retrieve I hooked up. The fish fought me from the start and peeled off line like a trout. 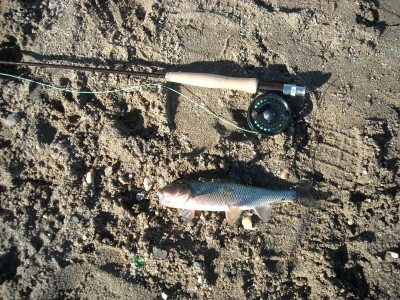 I could easily see that it wasn’t a bass or bream, but what was it? I had heard that there were some pickerel in the lake, but didn’t think that I was going nearly deep enough to hook one of them. Then I saw the sides. Shiny with golden tint and well defined scales, I started to think that I had hooked a carp. when I finally saw the mouth I knew that I was right. I reeled it in and took a couple of pictures for this post. Then I removed the streamer and gently placed the fish back in the water. Instantly it took off like a rocket. Although I probably won’t target carp on future trips, I can see why there are those that do. Enjoy!